Looking for reliable air conditioning FAQ answers? Look no further! Our experienced team at Air Conditioning Repair Adelaide has developed a wealth of knowledge & experience within the industry over many years. To better serve our customers we have developed this page as a resource to answer some of the most frequently ask. What is the best brand air conditioner? 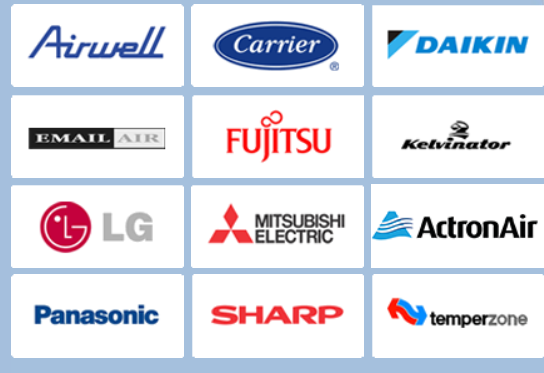 With such a huge range of household brands such as Fujitsu, Samsung, Panasonic, Mitsubishi Electric and LG, Daikin , Actron, Hitachi, Mitsubishi Heavy Industries, Daikin & Midea it can be difficult to find your ideal air conditioner that has the features, benefits & style you want, below is a great resource developed by The Good Guys to assist you with finding your ideal air conditioner. Taking into account a range of attributes a general life expectancy on a quality air conditioner can vary between 10-15 years. Again this is a subjective estimate and factors such as brand & usage should be considered. Modern portable air conditioners are well designed to meet strict criteria to ensure Australian safety standards are met. As such the majority of cases of a portable air conditioner being hazardous are largely due to a factors such as faulty power outlets or powerboards rather than a fault with the portable air conditioners. Are air conditioners expensive to run? Dependent on your air conditioner this answer can vastly vary however attached is a fantastic resource to get an idea of your air conditioners efficiency. How much to fix air conditioner? We here at Air Conditioning Repair Adelaide value your business and pride ourselves on outstanding customer-service, with experience working with a range of different brands. Depending on your system and the repair requirements the cost of getting your air conditioner functioning efficiency can vary. Contact our friendly team today for a ‘quick quote’ or to have one of our team members visit you. Is my air conditioner broken? Although the average life of an air conditioner is 10-15 years during this time you may find maintenance is required. However don’t get too concerned as it may surprise you how often the repair costs are minimal, and don’t require you to break the bank. Additionally adopting the ‘a stitch-in-time-saves-nine’ approach can often result in your air conditioner operating more efficiently and therefor reducing your future bills. Contact our experienced team for an accurate quote with competitively priced service. Why is my air conditioner loud? Unfortunately there is not one generic answer to this question, however our experienced team are confident that upon inspecting your unit we can find a solution if it is financially realistic to proceed with repairing your air conditioner.